SAVE set up the SAVE Trust as a special building preservation trust to restore Castle House which, gutted by fire had stood vacant for many years. The Save Trust operates as a separate charity. The house attracted interest from a succession of potential partners and works began in 1999. The structure had to be protected against water ingress and the building disappeared under scaffolding. Works started in 2012 with the rear range, and over the following years the house has been repaired, including the roofs, ceilings and the concrete façade. This was only possible thanks to major grants by Historic England and EDF Energy together with our partners, architect Chris Balme from Ferguson Mann Architects, and Corbel Conservation, the contractor. Thanks is also due to Sedgemoor District Council for supporting this project. The SAVE Trust is now looking for a development partner to complete the interiors. Planning permission was granted in 2017 to convert the house into three flats. Castle House would be a fascinating place to live, full of history and remarkable Victorian features. 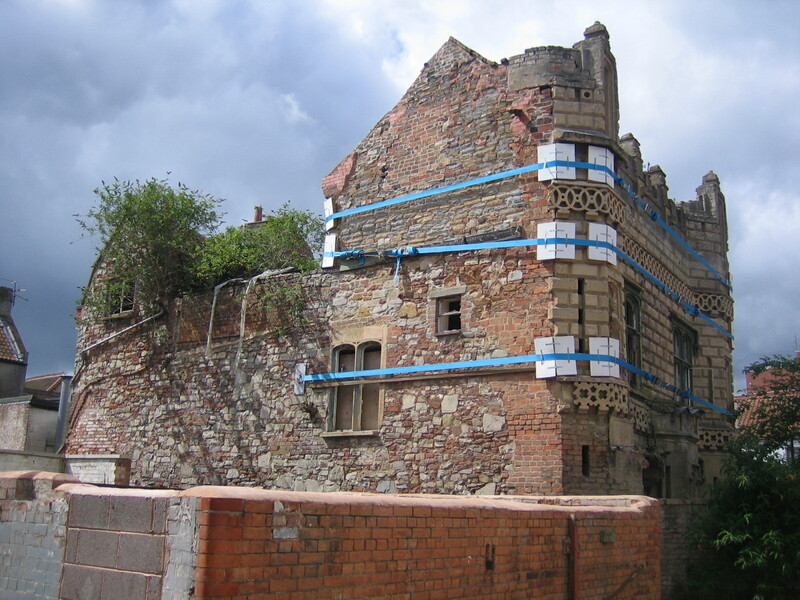 Marcus Binney, Executive President of SAVE Britain's Heritage, said: "The SAVE Trust took on Castle House just as it was declared the most endangered historic building in the South West by Historic England. The roof had been destroyed by fire, and water was cascading through the interior and the concrete ornament crumbling. 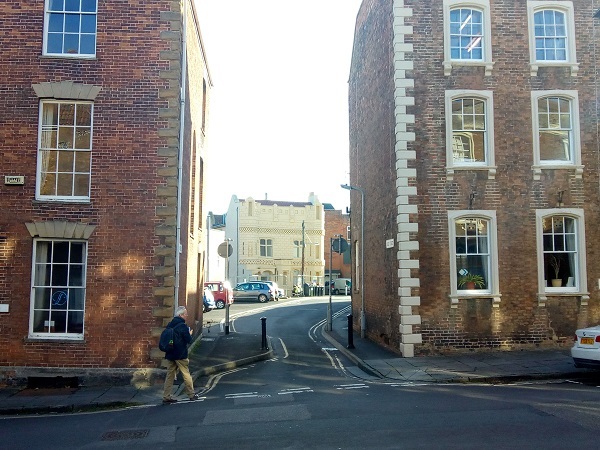 Once again dogged persistence through adversity has paid off and thanks to heroic support from Historic England and EDF Energy this highly unusual architectural gem proclaims Bridgwater's long and enterprising history." Councillor Duncan McGinty, Leader of Sedgemoor District Council, said “After many years of seeing the Castle House, firstly in a dilapidated state and then 9 years swathed in scaffolding, I am thrilled to see it emerge, looking so spectacular. It is a real ugly duckling to swan situation. I’d like to thank everyone who has been connected with this project over the years and for staying with it. It is magnificent; we hope that the internal works will be completed soon and that a fitting use is found for this little gem of an historic building." fascinating history and success of the town – something we are working together to take forward for many years to come." Chris Balme, Director, Ferguson Mann Architects, said: "Castle House provides an important link in the history of construction technology between traditional building materials and methods such as lime, timber and masonry, and ‘modern’ cements, reinforced and cast concrete construction. John Board’s development of his own Bath, Portland and Roman varieties of cement, combined with his expertise in brick and tile manufacture led him to explore the potential of pre-cast and in-situ concrete. The reinforcement of his extraordinary floor and roof constructions with iron was revolutionary. Because of the unusual construction of the building, we had to use innovative conservation techniques when repairing it, this included supporting the failing concrete floors on new fibre reinforced concrete vaults that were cast underneath the original." Built in 1851, the house demonstrated the versatility and potential of concrete. Castle House is one of the earliest surviving examples of the use of prefabricated concrete and constructional post-tensioning in the world and an important monument of Victorian inventiveness and ambition. It was built as a family home – and ‘show house’ – for John Board, a pioneer of concrete construction. John Board founded his firm Board & Co founded in 1844. He was at the forefront of concrete manufacturing, and Castle House was where he trialled and tested new construction techniques. John Board’s innovative spirit was recognised when he was selected to represent the district at the Great Exhibition of 1851. 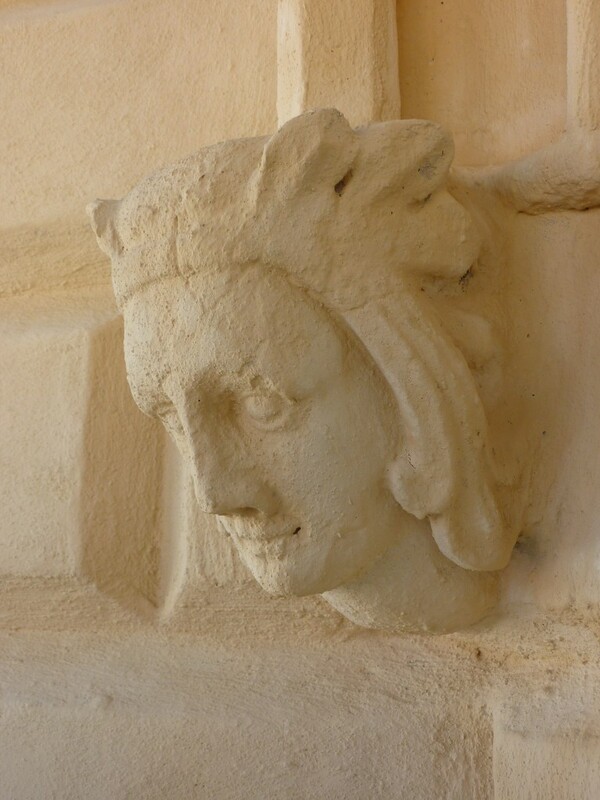 He produced six of concrete figures for the Great Exhibition - the six niches at Castle House may have been designed to accommodate sculptures. The building is an unusual and highly significant achievement. The gothic window frames together with pre-cast architectural detailing give the house a very special charm; the top floor has concrete vaults supporting the roof. It is easy to imagine how the interiors, currently still in an unfinished condition, could be turned into three handsome apartments. Designed to recall the old Bridgwater Castle that once stood near Castle House, the building is a striking gothic folly. It is a beacon of modernity in Bridgwater – not only for its ambitious and advanced construction technology but also for introducing the new gothic taste that was fashionable around the time. Castle House stands out opposite the former County Court, also grade II* listed, with its impressive classic portico, and the flamboyant gothic design is framed by the restrained Georgian neighbours when seen from Castle Street, one of the most beautiful Georgian streets in the South West. Castle House is highly visible from Castle Street. The SAVE Trust is now looking for development partners. For more information, please contact Thomas Bender by email thomas.bender@savebritainsheritage.org or telephone 020 7253 3500.